Definition at line 1029 of file xmlstorage.d. Definition at line 1033 of file xmlstorage.d. Definition at line 1041 of file xmlstorage.d. Definition at line 1050 of file xmlstorage.d. Definition at line 1057 of file xmlstorage.d. Definition at line 1064 of file xmlstorage.d. Definition at line 1071 of file xmlstorage.d. Definition at line 1116 of file xmlstorage.d. Definition at line 1123 of file xmlstorage.d. Definition at line 1188 of file xmlstorage.d. Definition at line 1177 of file xmlstorage.d. Definition at line 1079 of file xmlstorage.d. in char def = ""
Definition at line 1094 of file xmlstorage.d. Definition at line 1157 of file xmlstorage.d. // Is this an absolute path? Definition at line 1133 of file xmlstorage.d. Definition at line 1145 of file xmlstorage.d. Definition at line 1226 of file xmlstorage.d. Definition at line 1088 of file xmlstorage.d. Definition at line 1085 of file xmlstorage.d. Definition at line 1105 of file xmlstorage.d. Definition at line 1110 of file xmlstorage.d. 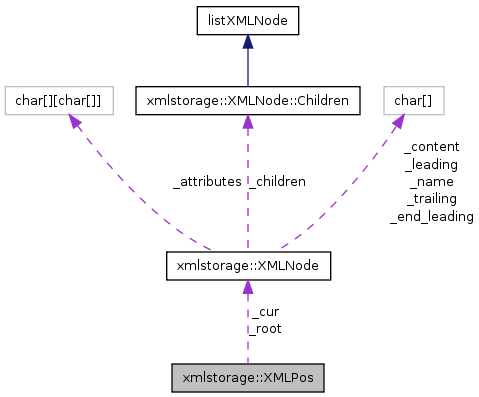 Definition at line 1100 of file xmlstorage.d. Definition at line 1205 of file xmlstorage.d. Definition at line 1194 of file xmlstorage.d. Definition at line 1218 of file xmlstorage.d. Definition at line 1222 of file xmlstorage.d. Definition at line 1221 of file xmlstorage.d.